Substance use and mental illness during and after pregnancy have serious impacts on the health and well-being of mothers, children, and families around Montana. House Bill 658, introduced March 12, 2019 to reauthorize Montana’s Medicaid expansion, could lead to major coverage losses. The 2019 Montana Perinatal Behavioral Health Initiative Conference will be held on Monday and Tuesday, April 2-3, 2019 in Helena at the Great Northern Hotel. When Montana expanded Medicaid to cover low-income adults in 2016, one of the big questions was whether having coverage would translate to better access to care for enrollees. 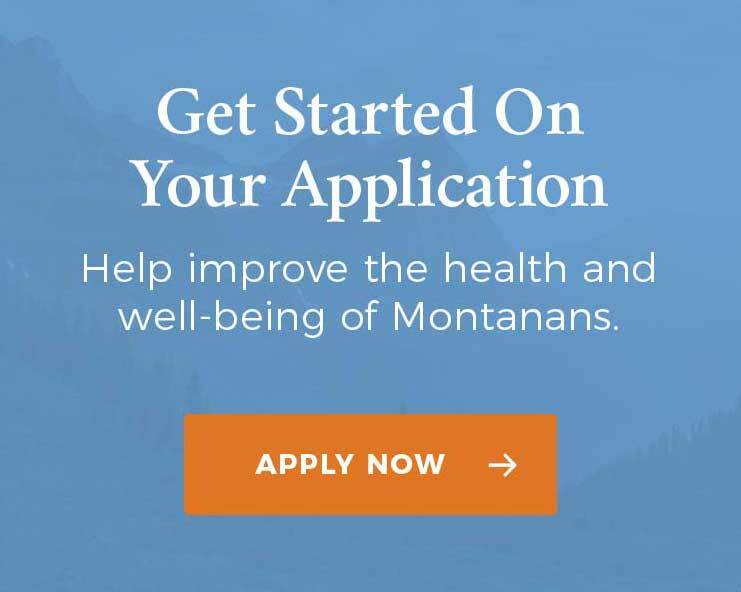 According to new survey results released today, nearly half of the respondents (43 percent) reported an improvement in their general health since enrolling in Montana’s Medicaid expansion. This week we released a report, in partnership with Headwaters Foundation, that takes an in-depth look at how Medicaid expansion has impacted Montana’s economy and employment. According to an independent analysis, Montana’s Medicaid expansion has introduced more than $600 million each year into Montana’s economy, generating approximately 6,000 new jobs and $350 million per year in personal income. Press Release: According to a new report, over 1,600 Montanans would benefit from treatment courts each year, but due to limited funding and capacity, there are only 28 state treatment courts serving about 550 participants at present. In December 2018, NPC Research completed a study entitled, “Bringing Treatment Court to Scale in Montana.” The purpose of this study was to respond to current attention on substance use disorders as a key health challenge in Montana, and the powerful role that treatment courts can play in addressing this problem; to review the current reach of treatment courts in Montana; and to explore the interest in, feasibility of, and resources required to expand treatment courts in the state. Strengthening public health regional roundtable meetings update.